Food Corporation of India (FCI) Board have given an Notice about the FCI Assistant Grade III Recruitment 2019 @ www.fci.gov.in Notification and have offered the huge number of the Jobs like the 4103 Junior Engineer (JE), Assistant Grade-II (AG-II), Steno Grade-II, Typist (Hindi) and Assistant Grade-III (General / Accounts / Technical / Depot) Post for the VCandidets who are interested in it. The Starting Date to fill up the FCI Assistant Grade III Application Form us the 28th February 2019 and the ending date is the 25th March 2019. 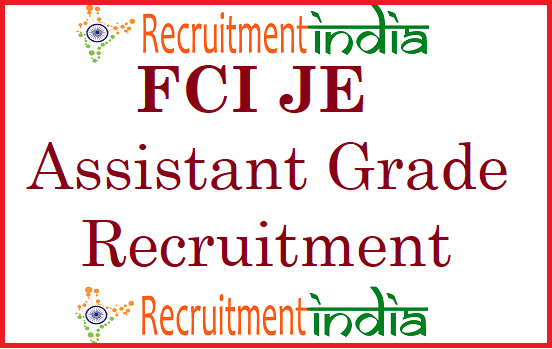 FCI Assistant Grade III Recruitment 2019 lst date 30th March 2019 !! Latest Update(25th March 2019): FCI Assistant Grade III Recruitment 2019 last date extended to 30th March 2019. The Starting date to fill up the online FCI JE Application Form is the 28th February 2019 and the links will be activated on the day itself. In the between of this Time, the Candidates needed to check the eligibility like the Educational Qualification, Age Limit, Selection process, Vacancy Details, Application Fee, FCI Assistant Grade III Salary, Important Links & application Form Filling dates all will be gathered here about his FCI Assistant Grade III Recruitment 2019. Those who are thinking to get settle their life in the central Government Jobs, then the Candidates needed to know about this www.fci.gov.in Recruitment 2019 Process Surely. If Candidates get al the confirmation Details about this FCI Assistant Grade III Jobs, then they needed to fill up the Application Form. can you tell me the exam date? and when i could download admit card?